The Charlevoix Public Library and the Munson Charlevoix Hospital are pleased to announce that they have been awarded a grant from the National Library of Medicine which is part of the National Institutes of Health. This grant will provide 16 iPads which will be located throughout the County. Recipients will include the Library ,the Munson Charlevoix Wellness Workshop, several physician’s offices, the waiting rooms in the Hospital, and offices of school nurses . The iPads will contain the highest quality health information for adults and children and will be presented in an easy to use manner. The grant was written in response to the concerns about the public’s’ use of inaccurate health information on the internet. There are 3 main goals for the grant: Improve health information access for patients in selected Family Practice physician offices ; Provide school nurses with student focused health information to share with children in public schools ; Share health information with patients who attend health checkups conducted by the Hospital. In addition to funding the iPads the grant provides funds for Susan Kroll, the Charlevoix Library Health Librarian to train all the health professionals receiving iPads on how to easily access the best information. A health information center will also be created in the Library which will have handouts on the many ways to find disease specific information such as cancer. The Library is funding the salary for the Health Librarian to work from 10-12 noon every Tuesday to assist anyone in the community who wants answers to personal health information questions. The Health Librarian will be at the Library from July 10-August 21. The hospital is supporting the salaries of the nurse educators who will be working as partners with the Library on this project. Search over 650 health topics on conditions, diseases and wellness. The site offers drug and supplement information, a medical dictionary and encyclopedia, current health news, and directories of health services. Medical information tutorials are available. The site is sponsored by the National Library of Medicine and is specifically organized for health care consumers. The Mayo Clinic staff offers medical information for health care consumers. Search the A-Z index of diseases and conditions, drug and supplement information and healthy living topics. Multiple links to more information are available. The “First Aid” section offers suggestions for treating common injuries. Developed by the U.S. Department of Health and Human Services, Healthfinder provides links to web sites from over 1,500 health-related organizations containing high quality information. Special features include an interface that has been designed for use by children and a drug interaction checker. This well organized site offers health information for parents, kids and teens. The parent section includes general health topics, infections, child development and parenting information. The kids and teen sections offer articles and helpful tips on timely topics for youth. Sponsored by the Nemours Foundation. The American Academy of Pediatrics provides information including the Academy’s recommendations about health topics , diseases and conditions, child development, and child safety. Also contains advice on helping children cope with difficult issues. The Center is a non-profit, national clearinghouse containing women’s health information. They develop original health material for women and provide links to news, educational opportunities, and national organizations. The resource center also includes references to books and contacts for local health departments. A direct link to Medline Plus’ site on Women’s Health. This website dedicated to men’s health issues was developed by the Centers for Disease Control and offers a wide range of information focused at both consumers and health professionals. There are links to hundreds of articles on topics ranging from alcohol to obesity to prostate disease and workplace safety. A direct link to Medline Plus’ site on men’s health. NIH National Institute on Aging makes finding age-related health information easy to find for seniors, family members and friends seeking reliable, easy to understand health information. Each health topic includes background information, videos, quizzes and frequently asked questions. New topics are regularly added. The web site’s senior-friendly features include large print, short, easy to read segments of information and it is easy to navigate. The National Institutes on Aging and the National Library of Medicine developed this site. The American Geriatrics Society Foundation provides information on the care and health of older adults. Information is provided in four sections: Aging in the Know, contains current information on the impact of the aging process on health; Eldercare at Home has the full text of the second edition of this resource for individuals who are caring for older people at home; The FHA Physician Referral Guide includes a list of physicians specializing in the health concerns of older adults and includes a feature to search for board certified geriatricians; and Health in Aging Stories provides insight into other families challenges with similar issues. The official U.S. government site for people with Medicare. Provides information about Medicare health plans, drug benefits, supplemental ” Medigap” insurance plans, provides a link to Michigan state information, long term care information, various online forms to request a replacement Medicare card, to change an address or to determine eligibility and the full text of Medicare related pamphlets. Designed to be of assistance to caregivers of persons with lon g term, disabling health conditions. Fact sheets are provided on various conditions like dementia, Parkinsons Disease and stroke. 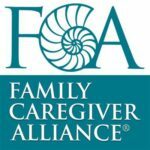 The alliance is an advocacy group, so the site includes statistics, government information, and reports. Especially helpful is the caregiver advice. The website also hosts online discussion groups. This is a guide to over 9,000 prescription, over the counter and herbal medications. The National Library of Medicine compiles it. Search the MedlinePlus site found under the Comprehensive Consumer Health section of this electronic library. The link, “Drug Information” can be found on the left side of the MedlinePlus home page. Information about drugs, food, cosmetics, tobacco, medical devices and toxicology. Specific information is available for patients, consumers, health professionals, government officials and kids. This clearinghouse provides one stop shopping for information about the various assistance programs available from pharmaceutical manufacturers for patients who cannot afford medications. Explains what the criteria are to quality and even contains contact information for each drug company. It also has information about government assistance programs and coupons. The NLM Drug Portal offers a comprehensive database of prescription and non-prescription drugs, including vitamins and supplements. Searches can be done by generic or brand name and the information is from the NLM databases, the FDA, the DEA. This site explains clinical trials and offers a comprehensive listing of clinical trials. Consumers are able to search this site by condition, treatment, sponsor and other categories. The U.S. National Institutes of Health, through the National Library of Medicine developed this site to help patients find current information about clinical research studies. Find out the chemical ingredients of specific household products, who manufactures them and the effects of those ingredients. 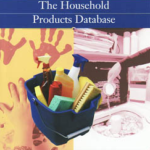 This database links over 4,000 consumer brands to health effects from Material Safety Data Sheets provided by the manufacturers and allows consumers to research products based on chemical ingredients. A National Library of Medicine database. Disclaimer: The information provided on this Web site is for general educational purposes only. It is not intended to be used as a substitute for medical advice. Any concerns about your health or the health of your family should be discussed with a qualified health care provider.